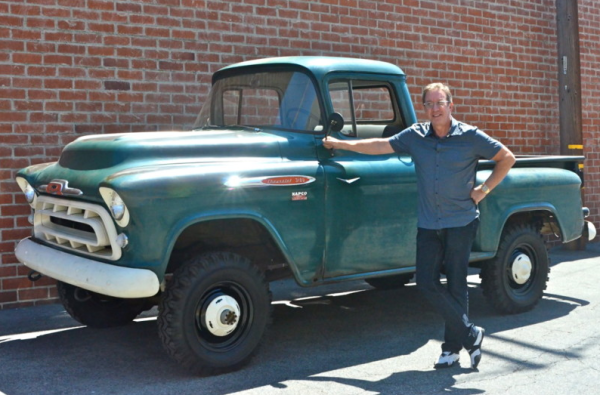 This is a collector quality “survivor style” NAPCO 1957 Chevrolet 3100 currently owned by celebrity and comedian, Tim Allen known for being the star of “Home Improvement” and his current series “Last Man Standing” on ABC. Over the years, Tim has been known as a true car guy who likes to search out the “rarest of the rare” and this 1957 Chevrolet NAPCO fits right in. Its amazing that so few of these trucks exist and even fewer exist in this condition. In 1957, the Task Force truck received a mild facelift. Continuing with the passenger-car style redo, the front hood was also flatter and styled similar to the ’57 Chevy Bel-Air. The grille of the 1957 was opened up and less of the “egg crate” style that donned the front of the previous years. The emblems changed slightly as well. Though still above the fender line, they were now oval-shaped compared to the script that previous models had. Do not confuse this truck with the average 1957 example, as this is an extremely rare NAPCO equipped 4X4 powered by a 265 V8 and shifted by a manual 4 speed. 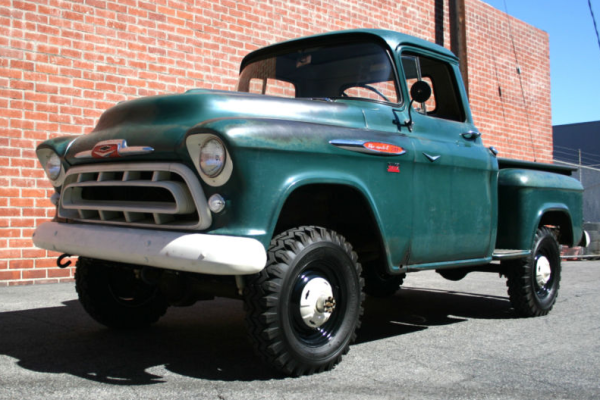 This will appeal to the collector who has been searching for an extremely original example of the 1957 NAPCO Chevrolet truck.